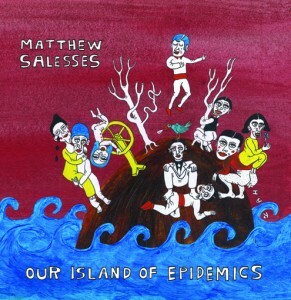 I’m still surprised at how little I’ve heard around the web about Our Island of Epidemics by Matt Salesses. But, I am glad to see the stories up around the web in various places, including one of my favorites, “The Man In the Hills,” up at Necessary Fiction. Read the whole story at Necessary Fiction. Salesses has also recently collected all of the stories from the collection published online into a map of the island. But, I’d highly suggest snagging a copy of the chapbook from PANK, too. Comment with a few lines or a story about a disease you would like to spread on our island of epidemics. It can be anything–boils, bastards, breathlessness! Next Wednesday, author Matt Salesses will select his favorite epidemic to win a free copy of Our Island of Epidemics! Watching the grown-ups in your life getting older is pretty damn terrifying, and in some cases, downright disappointing. Over at Necessary Fiction, writer Doug Bond shares a moment of cognizance as he cares for his aging father. There’s a lot of story in this little thing. Father/son relationship, giving up, disappointment, I might even detect something religious here. That’s good stuff. Read this story. The third the troubled middle girl who fell in love with the tin woman did nothing she was taught nothing she was told. Was told to kill the tin woman. Burn the tin woman. Chop the tin woman into pieces. But would not. Head on over and read the whole thing. When you’re done, come on back and tell us how great it is. Or better, tell somebody else. We already know.